As a truly one-of-a-kind experience, Brennan Homes’ Expressions Home Studio allows you to choose all of your design selections under one roof. 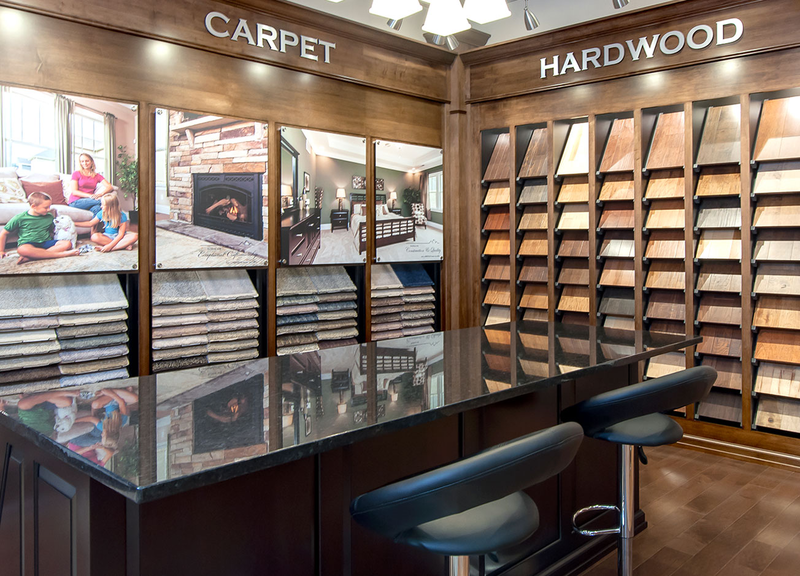 This 5,000 square foot space features interactive displays and walls of physical samples, everything you need to plan your dream home. When you build with Brennan Homes, you get more. 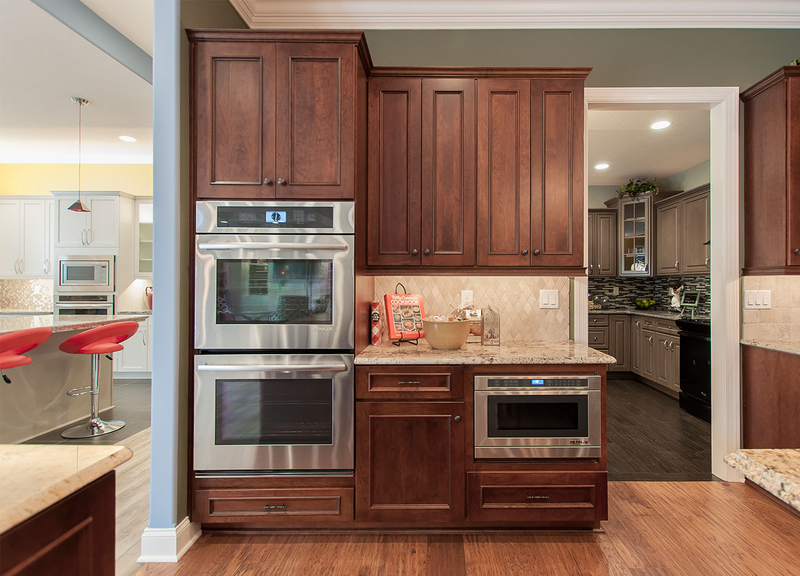 All of our homes include upgrades that would cost extra with many other builders, including granite countertops in the kitchen, overhead lighting, quartz in the bathroom, and more. See all of this and countless other options up close and in person in our Expressions Home Studio. When you begin the building process with Brennan, we will invite you to the Expressions Home Studio. You’ll have the opportunity to walk around the space and explore all of your options. We have multiple bathrooms, kitchens and other key rooms of the home built within the studio so you can get inspired. Touch countertop options, walk on actual flooring possibilities and see popular paint colors on a whole wall instead of just a small sample. After you’ve had the chance to explore the Home Studio, you can start mixing and matching your selections. You’ll utilize interactive displays and touch physical samples as you discover the look of your home. 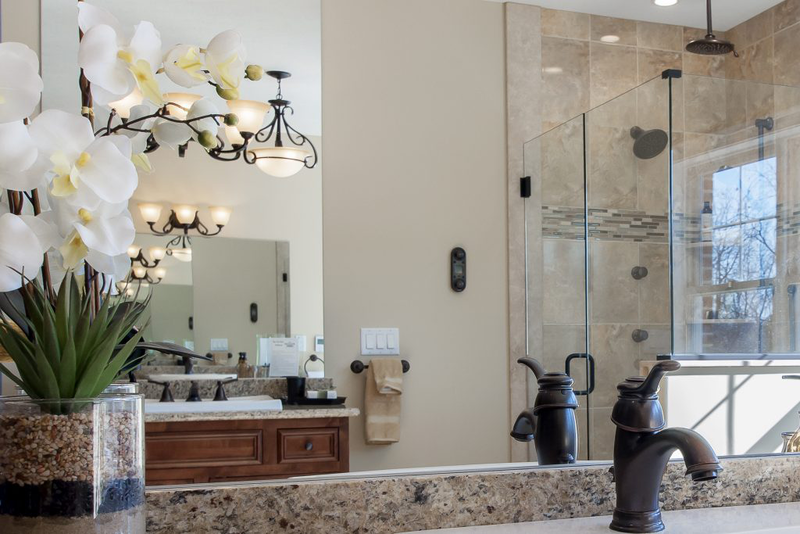 From big choices like cabinets and flooring, to beautiful details like lighting and faucets, Brennan takes the guesswork out of designing your ideal home. Throughout the process, our Design Consultants will work with you and finalize the details. No two homes are alike, and each space should reflect your personal style. We are happy to work with you as you create a home that is uniquely yours. As you finish the interior of your home, choose exterior finishes that suit your taste. Enjoy the process of building a truly custom home when you partner with Brennan. 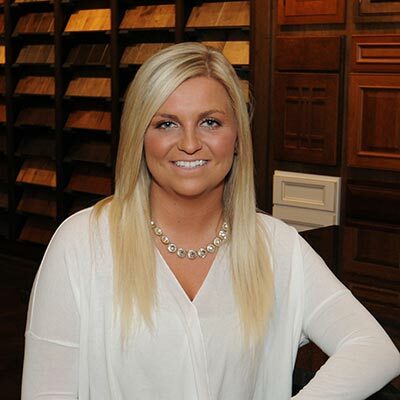 Meet Melissa Michel, Design Consultant for Brennan Homes! 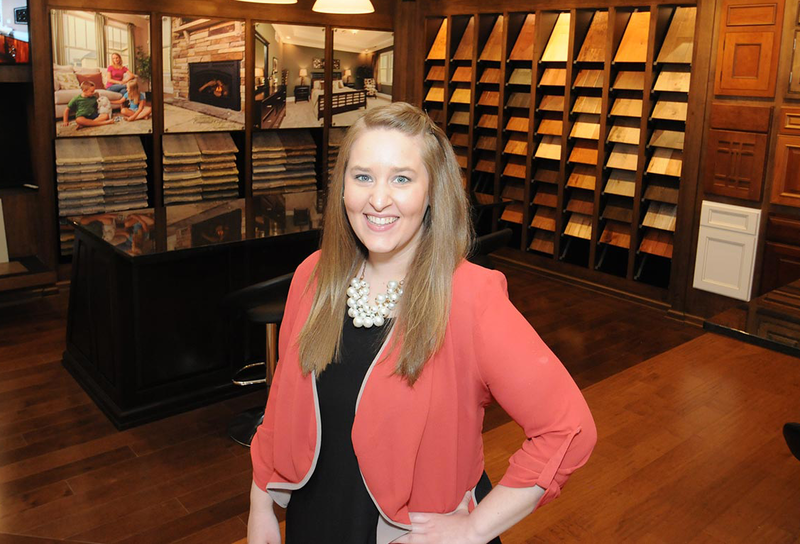 Melissa has a Bachelor’s of Science in Interior Design from La Roche College. Before joining the Brennan’s team, she worked for PPG Paints focusing on color and consultations; revitalizing client’s homes with a fresh coat of paint. In her role at Brennan Homes, she helps guide new home builders in making all interior and exterior selections for their home. Her easygoing personality allows her to listen to the needs and wants of each homeowner! Another great step in the process of: Your New Home Made Easy! Can I finance my design selections through my home loan? Typically, Design Selections would be paid for outside of the home loan. We understand that every homeowner’s circumstances are different and are happy to work with you if this is something that you would like to explore. How much should I expect to spend on my design selections? Our homes start with higher standards than many of the other builders in the area so you do not need to spend anything additional if you do not want to. Obviously, many of our homeowners have specific desires and styles that they would like within their homes that are outside of the included features. Every one of our homeowners are different so the amounts they have spent vary. You set your budget and our Design Consultant will guide you to selections within your style and budget. What is the Expressions Home Studio? The Expressions Home Studio conveniently showcases all of your selections in one location. We’ve done all the hard work and brought you the most popular and desired options to help you better narrow down what is most important to you. You will have your very own Design Consultant who will provide guidance and support to meet your design style within your preferred budget. Do I need an appointment to visit the Home Studio? Yes, we do require appointments for visiting our Home Studio. This ensures that we can devote our time to the customer scheduled without interruption. Can I go to the Home Studio before I purchase a home? Of course! Your Sales Consultant would be happy to guide you through the Home Studio. Don’t have a Sale Consultant? No problem. Contact our office and we will get one of our Sales Consultants in touch with you. What happens on the day of my selection meeting? 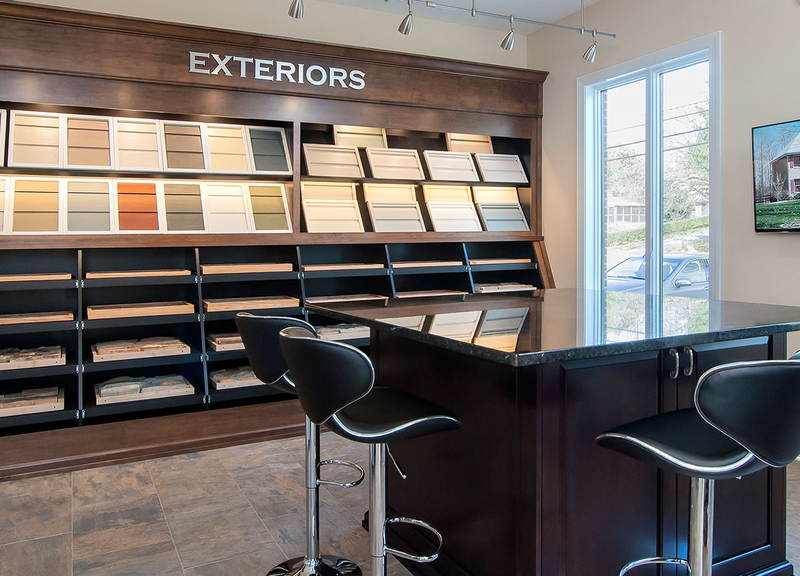 Your Design Consultant will be there to guide you through the process of selecting your finishes within your desired budget. Your appointment is hands on and will be an exciting experience. You won’t believe that building your new home can be this easy and so much fun! How do I prepare for my selection meeting? First and most importantly, think of how you currently live in your home, room by room. Walk mentally through each space and make a list of the details that matter the most to you, locations of lights, televisions, etc. Imagine how you are planning to live in and use each space and what would be needed in that space to meet your needs. Once you’ve gone through how you are living in the space, you need to explore what the space is going to look like. Look at pictures on our website or online to get ideas of what you like. Your preview time is extremely important as you will get to explore your options as well as review your Personal homeowners Guide to selections. Is everything selected in one day or does it happen over time? Most new homeowners will require two appointments for their selections. The first selection date will be the longest and has taken a full day at times. The second selection date is to finalize your selections and make minor modifications to meet your needs. We do require that all selections are complete prior to the start of construction since so many selections affect more than just the color. Do we make an appointment with the Design Consultant? All appointments will be managed through your Design Consultant. On your selection days, your Design Consultant will guide you through the whole process. On your preview days, there will be paperwork guiding you through all the details. We've heard how stressful building a new home can be. How does this process ease that? Building a new home can be very stressful as there are so many aspects that go into your home. We’ve simplified this process by having our Home Studio. We’ve brought everything you need under one roof, which makes the process so much easier. You will also have your Design Consultant to guide you through the process. How are we able to see all the selections together? We’ve included what we call interactive displays in a couple locations within our Home Studio. These interactive displays were custom built to fit our samples so you are able to see your flooring, cabinetry, countertops and backsplashes all in one place. You can actually fit two versions of this right next to each other in order to better decide which option is right for you. We'd like to make a family day out of the selections process. Is it all right to bring our family? You are welcome to include any adult family members or friends for your preview day. For your child’s protection, children under 16 are not permitted in our Home Studio. Please plan for a sitter or family member to watch your children during your selection meetings and preview times. This also allows for your undivided attention as we all want to make sure you are completely satisfied with your new home. For you actual selection meetings with our design consultant, only the buying parties should be present. Our design studio is all about our customers satisfaction. Ask Taylor how easy the process is.